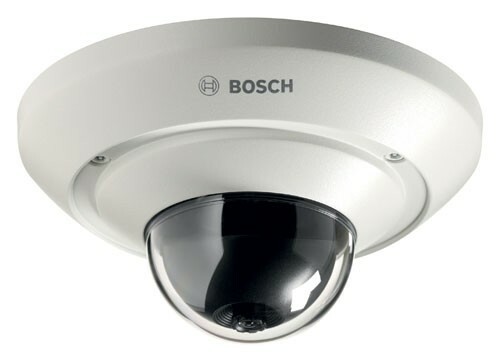 The Bosch NDC-274-PT and NDC-284-PT Vandal-resistant MicroDome cameras offer a ready-to-use, complete network video surveillance system inside a MicroDome. These cameras bring Bosch’s highperformance technology into the realm of small office and retail businesses by offering a cost-effective solution for a broad range of applications. The cameras use H.264 compression technology to give clear images while reducing bandwidth and storage by up to 30%. The internal MicroSD card slot supports up to 2 TB (2048 GB) storage capacity. The NDC-274-PT is a 1080p camera; the NDC-284-PT is a 5 Megapixel camera. Both cameras have IP66 and IK08 protection.